MUST SEE FOR BUYERS AND INVESTORS! 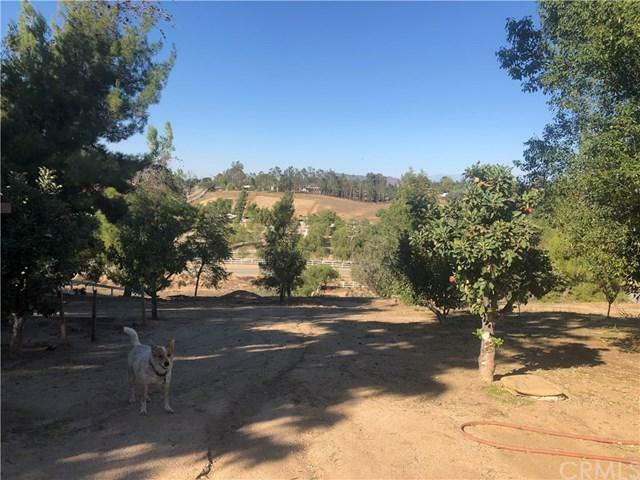 LOTS OF POTENTIAL FOR INCOME TO INVESTORS OR FOR AN OPPORTUNITY TO LIVE AND OWN A HOME IN THE MOST SOUGHT AFTER NEIGHBORHOOD IN THE HILLS OF TEMECULA WINE COUNTRY. 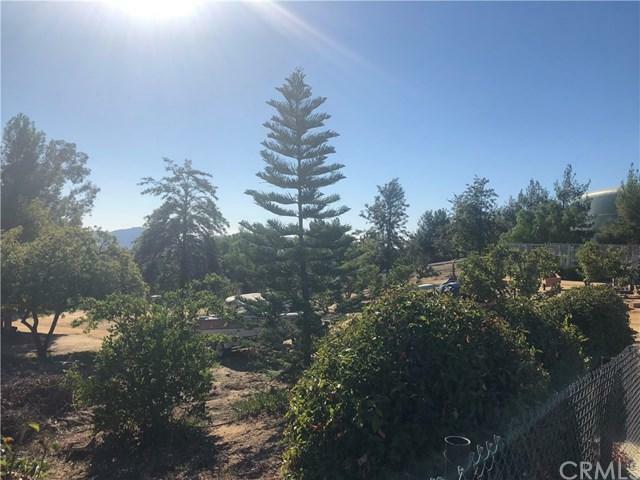 THE PROPERTY INCLUDES A 2BED/2BTH 1500 SQ.FT WELL MAINTAIN MANUFACTURE HOME ON A PERMANENT FOUNDATION ON THE TOP OF THE PROPERTY LOOKING DOWN AT THE VALLEY BELOW WHERE YOU CAN WATCH THE TEMECULA BALLOON FESTIVAL AND ENJOY TEMECULA'S BEAUTIFUL SUNRISES AND SUNSETS. 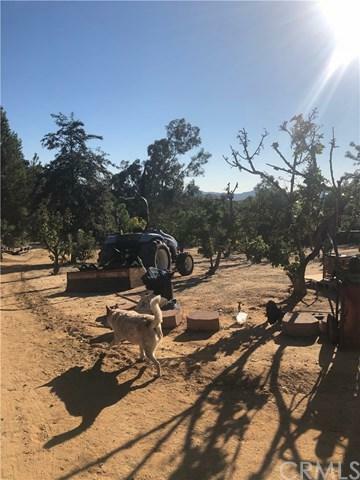 THERE IS ALSO A 1000 SQ.FT 1BED/1BTH UNIT ON THE PROPERTY WITH AONE CAR GARAGE AND A SEPARATE 4 CAR GARAGE ON OTHER SIDE OF PROPERTYH. ALL DWELLINGS INCLUDING GARAGE HAVE SOLAR THAT IS NOT LEASED OR HAS NO LIENS. BOTH OF THE DWELLINGS ARE CURRENTLY BEING LEASED. THE OTHER SIDE OF THE PROPERTY HAS FENCING DIVIDING THE TWO AREAS WITH A SEPARATE ACCESS TO IT FROM THE STREET. THERE ARE IRRIGATED APPLE ORCHARDS THAT COULD BE CONVERTED TO VINEYARDS PLUS PLENTY OF ROOM TO ADD MORE AND LEASE TO LOCAL WINERIES IN THE AREA. ENDLESS POSSIBILITIES. THE PROPERTY IS COMPLETELY FENCED. ALSO INCLUDED IS A TC45 NEW HOLLAND REAR DRAG TRACTOR. 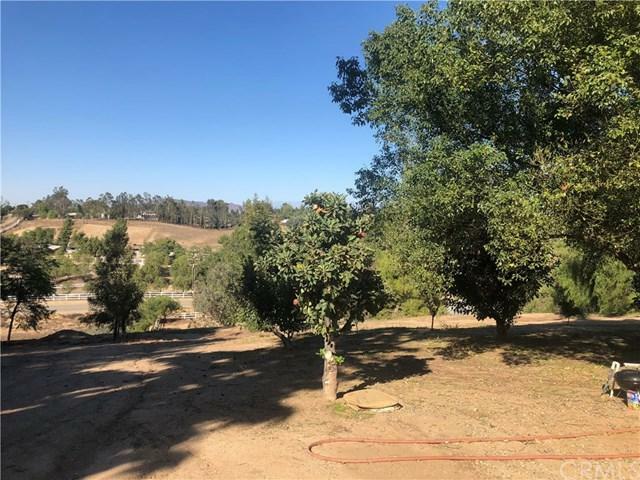 CLOSE TO ALL OF WHAT TEMECULA HAS TO OFFER -SOME OF THE BEST WINERIES AROUND, OLD TOWN AND AWARD WINNING RESTAURANTS AND SHOPPING BUYERS TO DO THEIR DUE DILIGENCE REGARDING DWELLING SQUARE FOOTAGE AND LOT SIZE. SELLER IS EXTREMELY MOTIVATED TO SELL DUE TO ILL HEALTH. PLEASE SUBMIT ALL OFFERS WITH PRE-QUAL LETTER, FICO SCORES, PROOF OF FUNDS.